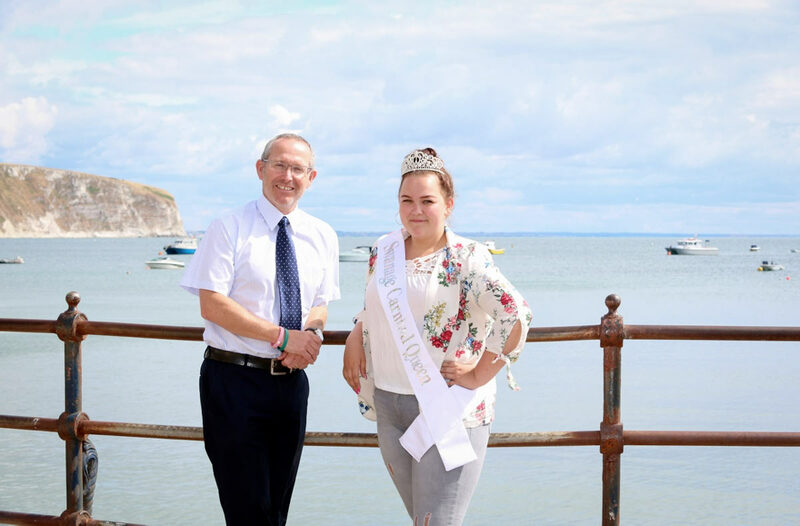 Royal approval: Swanage Carnival Queen Amey Towner, with Craig Wells, a Partner at Ellis Jones Solicitors, sponsor of this year’s carnival queen contest. The final countdown has started to this year’s Swanage Carnival with more than 100 events lined up for the week-long celebration. 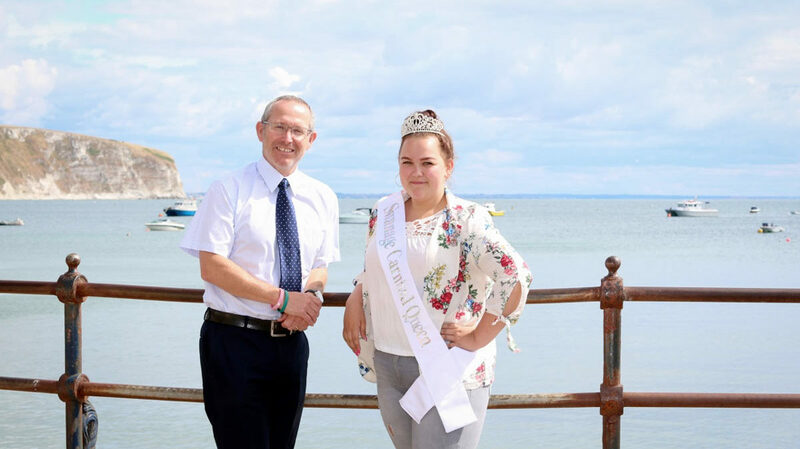 The 2018 Swanage Carnival Queen is Amey Towner, 15, who said she was “very excited” at winning the title. This year’s carnival queen contest was sponsored by Ellis Jones Solicitors. Last year’s Swanage Carnival raised £25,600 which was distributed to 25 charities.